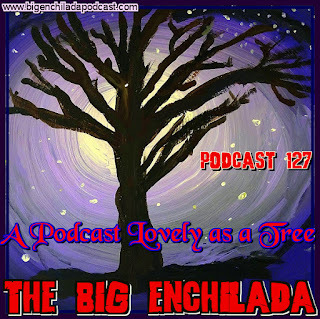 I may be going out on a limb here, but I do believe this spruced-up weirdness could turn out to be one of my most poplar Big Enchilada episodes ever. We’ll get down to the roots of rock ‘n’ roll with a little rockabilly from Andy Anderson (a former New Mexico resident!) and branch out into some crazy garage-rock sounds and a few nutty novelty tunes. So no more acorny jokes, let’s get on with the music! And remember, The Big Enchilada is officially listed in the iTunes store. So go subscribe, if you haven’t already (and gimme a good rating and review if you’re so inclined). Thanks.